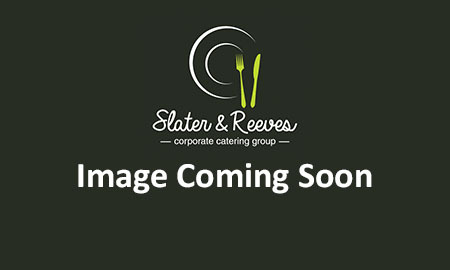 Slater and Reeves are your number one choice when selecting catering services in the Dudley area. We specialising in 'Business to Business' catering all prepared in pristine corporate kitchens and delivered safely to your place of work, freshly prepared and beautifully presented safely and on time. From basic buffets, canape receptions and packed lunches to hot food menus and boardroom catering nothing is too small or too large for our expert team of professionals. We source locally as much as we can, and we have strict standards when it comes to the produce that we use. Quality, fresh and delicious food every time we serve you. We are just outside Birmingham the city centre and all areas of the West Midlands and beyond are in easy reach. Please see below our huge buffet range below you can order online and pay via invoice or debit card. If you wish to register for a business account and pay by purchase order please contact us.